This is great as a side dish or a decadent main course. This is really easy to make – the only work is in grating the zucchini (courgette). It is also quick to cook so ideal for a weeknight. If you don’t want to use thickened (heavy) cream then you can replace it with light cooking cream, or even your favourite pasta sauce. Of course you could add some cooked bacon or chicken as well to make a more substantial meal. Put the gnocchi into a pan of boiling water. Once the water boils again and the gnocchi rise to the surface, remove from the heat and drain. Leave to cool for a couple of minutes. Put the grated zucchini, parmesan, mustard and a good seasoning of black pepper into an oven-proof dish. Stir to mix. Add the gnocchi, the cream, plus half the grated cheddar to the dish. Stir then make into an even layer. 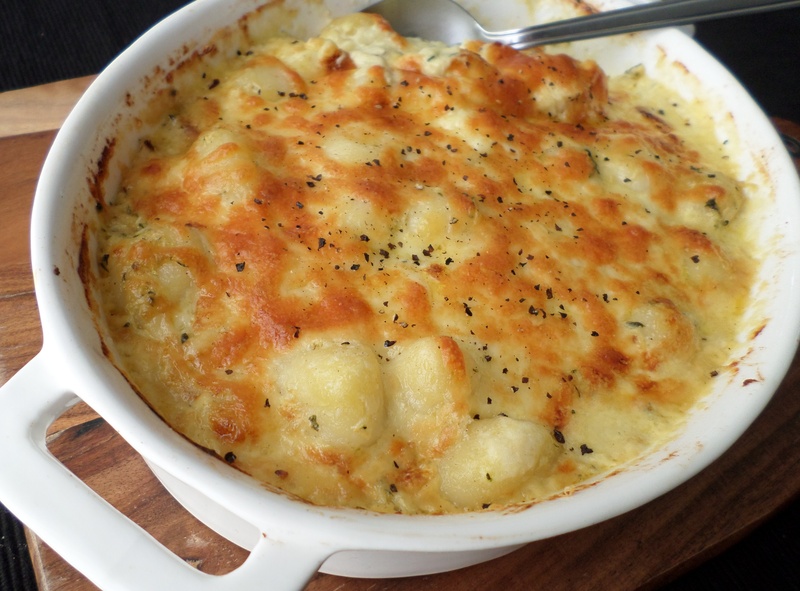 Sprinkle the remaining cheese on top and bake for 20-25 minutes until the cheese is golden. Remove from the oven and leave to cool for a couple of minutes before serving. Sprinkle with a little more freshly ground black pepper. 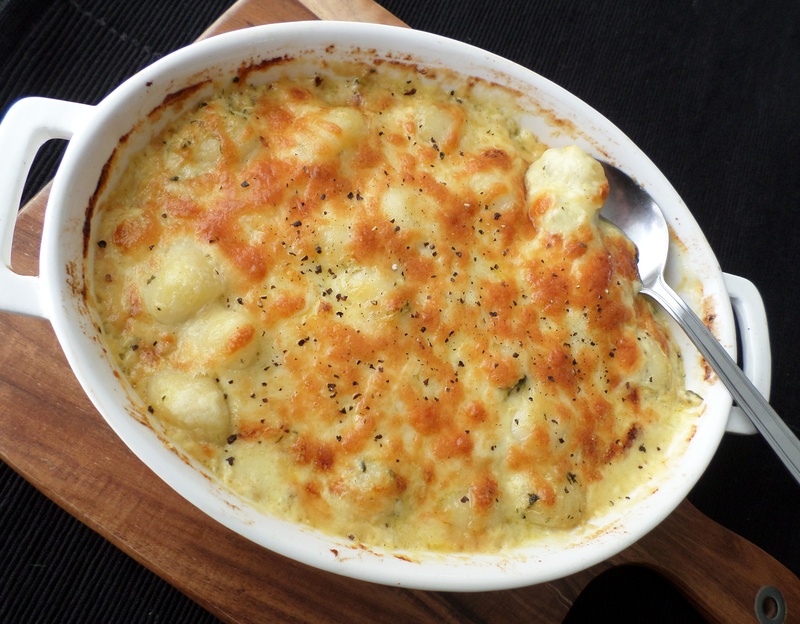 This entry was posted in Mains and tagged Cheese, Cream, Food, Gnocchi, Italian, Meat free, Recipe, Recipes, Side Dishes. Bookmark the permalink.